MOUNT HOPE, N.Y.—There is more to classical Chinese dance than meets the eye. Behind each movement is a system of values deeply rooted in culture and traditions, pulled from history by the artists through countless hours of study and practice. 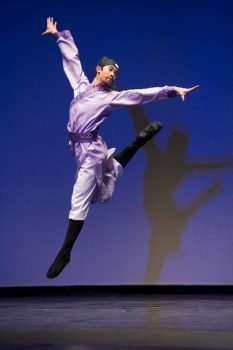 According to Piotr Huang, one of the principal dancers performing in practicum with the New York-based Shen Yun Performing Arts, a classical Chinese dance company with a mission to revive 5,000 years of Chinese culture, this system of values is at the heart of the ancient dance form, and is a characteristic rooted in the inner bearing, referred to as “yun” in Chinese, which connects the dancer to the audience on an emotional level. It also makes each artist unique. Huang is humble about his achievements. 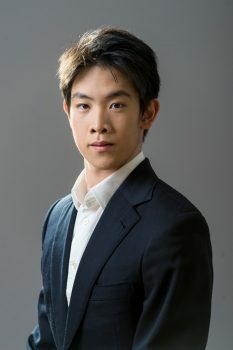 Originally from Warsaw, Poland, he had already won first place in the adult male division of New Tang Dynasty Television’s 2014 International Classical Chinese Dance Competition while still a classical Chinese dance major at the Fei Tian school in New York. When very young, he was pushed to dance by his parents, yet he has developed a passion for his art. “I fell in love with it,” he said. Classical Chinese dance is unique in its rounded movements; in its flips, leaps, and tumbles; and in its expressive capabilities that allow performers to portray characters of all types from any era. The female dancers are often gentle and light, while the male dancers are often swift and powerful. Huang said the sophisticated art not only requires dancers to perfect the numerous movements and forms, but to also find their own unique inner bearing. Using martial arts as an analogy, he said that while a white belt and a black belt may perform the same punch, the two are fundamentally different. “What makes the difference comes from the inside. It’s your own understanding, your own process of learning; experience you gain throughout the years. What comes out is completely different, and you can see and feel that.” he said. “Everyone has a different, unique style,” he said, noting that for dancers who go deeper into the art, there is also a process of refinement within their own character—a process to refine the inner bearing reflected in the dance. “I think that to refine the art of classical Chinese dance is a process of understanding yourself, because only when you understand yourself, your weaknesses, can you better understand your character; and through understanding it, you can better portray it on-stage,” he said. When a dancer first starts portraying a character, Huang said it often looks unnatural. In order to play the character properly, the dancer needs to first understand the “inner bearing” of the character. “I think this is one of the more important things in life: that it’s not about yourself, but it’s about others around you,” he said.